How do I take Up my Cross Daily? Home > Christian Life > How do I take Up my Cross Daily? One of the most astounding and deeply troubling commands of Jesus in the accounts of the four Gospels occurs in Luke 9. Why did Jesus ask his disciple these questions, and make these commands, in Luke 9? It seems apparent that the time had come for Jesus to announce his passion much more openly. Jesus had not only come to open the door to the resurrection for those who followed him but to call them to die with him. If death is not conquered then there can be no real salvation (1 Corinthians 15:25). Jesus will overcome death, and obtain ultimate victory, by choosing the way of the cross that was before him. Following this revelation Jesus says we too must share in his victory over death by way of the cross. This means we too must die! But what does it mean for me (us) to die? We will all die a physical death, whether we follow Jesus or not. This clearly is not what he means. The point is quite clear. But it is clearly missed by most Christians in the West. If we follow Jesus we must daily learn that “denying ourselves” is to be the fundamental orientation of our life! I once thought this meant something like looking for specific ways in which I could mortify my flesh and spirit. (There is a truth in this idea but it can easily lead you to miss the central point here, as it did in my life for years.) The frequently used and abused idea of “my cross” has an entirely different frame of reference. It means myself, my awkwardness, my personal trials and pains, my many mistakes and (of course) my core self-centeredness. 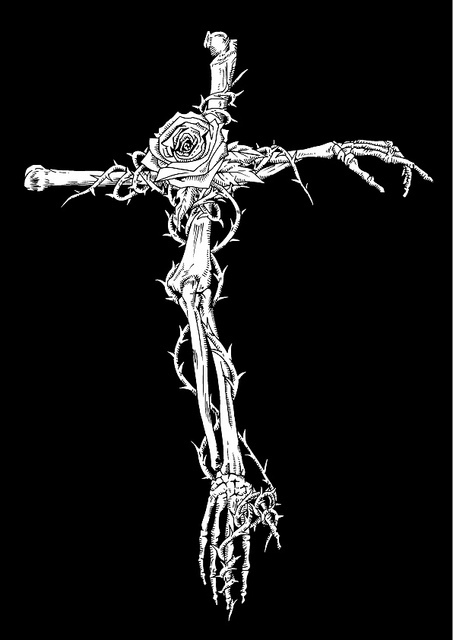 To take up my cross is to die to my ego-trips and constant thoughts about me. It means coping with life’s everyday business without trampling on others or making them suffer because of my ego (and real) needs. This gripped me afresh this morning as I entered into the discipline of this Lenten season after Ash Wednesday. Further, to deny myself means to reach a point in my life where where my self is no longer the most important thing in the world. I must take a back seat, and I need to learn to do it joyfully. Thus I must learn again and again to accept resentment, diminishment and (even) rejection. Supremely joyful Christians know this dying daily experience and thus they enter deeply in God’s love in the process. If you’ve lived long enough you know what this means for you personally. This is why we can rightly say “my cross” and personalize this idea. My “cross” and “your” cross are not the same but the core of our call is identical. Follow Jesus into daily death and through this death live in the power of resurrection. This alone will take me into the experience and reality of what I call costly love. Photo flickr creative commons Cross Ross Sugie 9.